The following comments about attractions in Edinburgh have been posted from individuals. We believe that the best reviews of Edinburgh, Scotland are written by travellers and holiday makers who have experienced Edinburgh first hand and want to share their thoughts. Can you share yours? 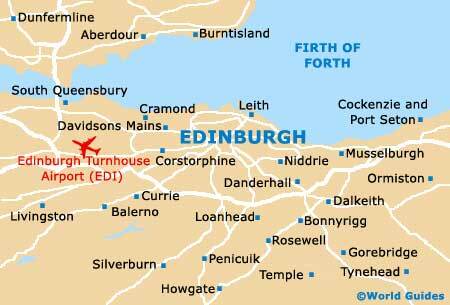 Please help us expand this section of our Edinburgh World Guide. Let us know what you think about the attractions in Edinburgh, Scotland. Submit comments about Edinburgh attractions here. If you come here in August, expect it to be busy. You'll be extremely lucky if you find a room, because everywhere is booked completely solid. That's because the whole month is devoted to the Edinburgh Festival, which include the Military Tattoo, the Fringe Festival, carnivals, fairgrounds, street parties and more. A busy time, but fun. An experience I will always treasure dearly. I had some good friends during my time there. Arthur's Seat in the heart of Edinburgh - a volcano?! Arthur's Seat is the biggest peak and part of a group of hills around Edinburgh. It was created by a volcano, which is now completely extinct. We took a picnic and climbed up this unique hill. I can't imagine being able to climb up any other hill, right in the middle of such a big, busy city. Wow - great views, and a bit of exercise thrown in for good measures. Edinburgh Castle is wonderful and has something like 1000 years worth of history attached to it. It stands on a massive volcano - don't worry though, it's completely extinct these days. Around one million people come here every year and well, that many people, they just can't be wrong can they? We were here for a couple of hours, and that was about long enough for us. It is near the Royal Mile, easy to find, very hard not to see it really! Please note that these Edinburgh, Scotland comments and reviews are posted by individuals and are not necessarily the views of World Guides.